You Don’t Need Scented Carpet Powders; You Need a Better Vacuum! For a lot of people, getting something truly clean means it not only looks clean, it smells clean, and nowhere is that more true than for the carpets and rugs in your home. Decades ago, scented carpet powders came onto the home-cleaning scene, promising ways to deodorize your carpet and leave it smelling fresh. In actuality, many carpet powders simply deposit fragrance, and don’t actually lend themselves to getting your carpets any cleaner. In fact, the powder can create the same friction on your carpet fibers as dirt, wearing down the yarn of your carpet! And worse, some of these powders can create problems not only for your carpets and rugs, but for those people in your household who are chemically- or fragrance-sensitive. 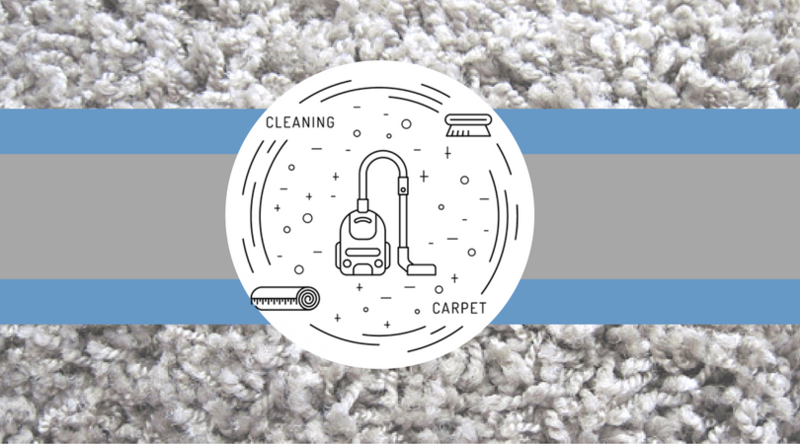 If that weren’t bad enough, carpet powders can also wreak havoc on your vacuum cleaner itself, causing its life span to decrease. So maybe it’s time you ditched the carpet powders altogether and considered getting a better vacuum cleaner that’s capable of properly lifting out the dust, dirt, grime and pet hair that creates bad carpet odors in the first place! One of the biggest issues with using a carpet powder is its propensity to clog different parts of your vacuum. The particles of the powder are similar to any dust or dirt particle, and can clog your vacuum’s filters and bags. When the bags and filters are clogged with powder, it means you’re changing them much more often (which can get expensive) if you want to properly maintain your machine and also have effective suction. While vacuum bags and filters are relatively easy to replace, other mechanisms – like the belt and motor – are not easy or cheap to replace. If used consistently, carpet powders can begin to build up as residue on vacuum belts, causing them to slip. The powder can also clog a vacuum’s cooling filters around the motor, which can then cause your machine to overheat. The powder granules are gritty, and in addition to wearing down your carpet fibers, they can also grind down motor axles and gunk up the motor bearings. The chemicals and fragrances used in certain carpet powders can prove irritating to humans and pets alike. For people with asthma or sensitivities related to allergies, the use of carpet powders can trigger an attack or rash. This extends to pets as well, as many of our four-legged friends can have some of the same sensitivities as their human counterparts! At best, carpet powders are really just covering up the problem with fragrances. If the sources responsible for creating the stale odors – ground-in dirt, dander, pet hair, dust and absorbed odors – aren’t removed, the problem will persist. So ditch the powders! 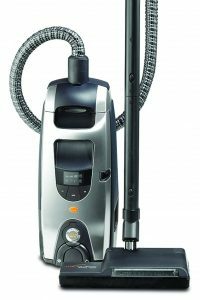 When you invest in a quality machine that does a superior job of removing dirt and contaminants from the surfaces of your home, you’ll be amazed at the difference it makes not only in the smell and appearance of your carpet, but of your entire home, including the overall indoor air quality. One of the most unique features about the Guardian Platinum is its double-sealed HEPA filters. Coupled with its high-powered motor, these double-sealed filters ensure the tiniest (odor causing!) contaminants are captured and contained – and only clean air is released. The Guardian Platinum also features System Indicator Alerts for condition of operation, including suction, pre-filter notification, full filter bag and over-heated motor, so you don’t have to worry that you’ll miss an important maintenance service. The unique L-shape power nozzle provides 4-sided cleaning, allowing you to clean around objects without missing a spot. Bummed Out by Dull Flooring? Question if i were to use baking soda or borax mixed with eccential oils like to kill and/or repel pests on my carpet that would be just as bad for my carpet and my vacuum am i correct?